When I met Travis I was deeply enamored and truly inspired by his big heart and attitude towards life. He would come home from work telling me about the new things he learned in the cellar, and would always dream of the day when he could call the shots with something he could call his own. 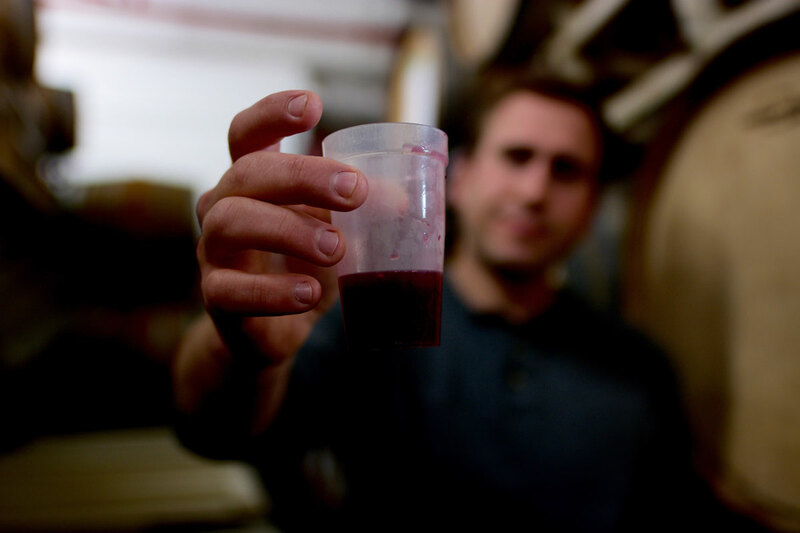 At the time, Travis was was working as Cellar Master for a large winery in Napa. 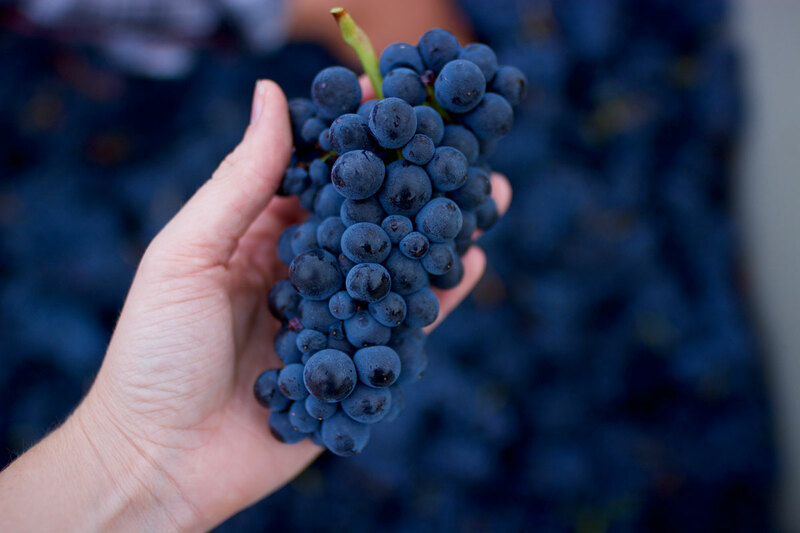 I was just switching gears to work for a small wine label up in St. Helena, and we were contacted to pour wine for the VIP section of Coachella music festival in Southern California. The man organizing all the wineries at the event was John Olenik. I got to know him throughout the planning process, as he told me all about his property up in Willamette and how he couldn’t wait for us to try his wine. 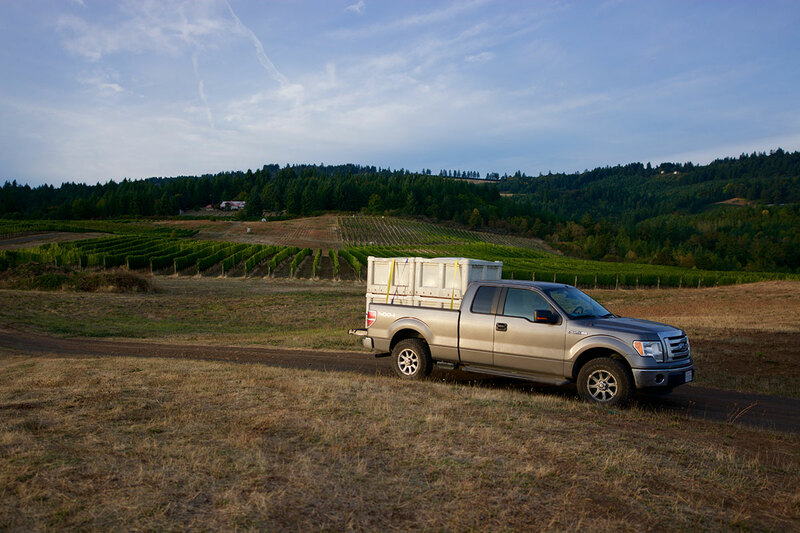 John just so happens to have one of the best vineyard sites in Willamette Valley, Oregon. I could just tell he was a good, kind person. Travis came down with me to Southern California and we poured wine alongside many “hip” wine labels at the event. When we met John face-to-face, it set the wheels in motion for Travis’s dream to start to come true. Not only was John’s wine incredible, his energy was infectious. We could barely wait to visit Oregon and see his vineyard site! Travis traveled up to visit John after the festival, fell in love with the property, and the fruit. I think it's safe to say that shortly after that visit, it was a done deal. Suddenly, we were going to start our own little label! We would spend all our savings and hope for the best. We committed to 1.5 tons of fruit - a small amount, but we had to start somewhere. The next step was finding a place to make it, and I knew just who to call - the crew at Holman Cellars. 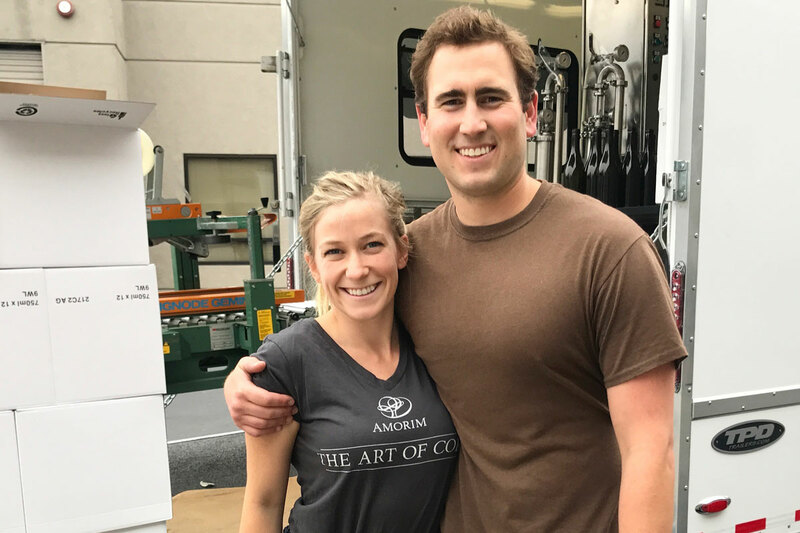 Travis and I are big believers in working with good people, and group over at Holman are some of the best people we know! They have hearts of gold. I introduced Travis to Jason and John over a couple of beers and we all had an instant connection. All the guys there are fun (one of the most important aspects of production), caring, and passionate. We could trust them with anything. They are so creative and have lots of incredible projects they’re always working on. Jason, John and Kevin rock and there is no way we could have made such a killer Pinot without this trio! The next step was figuring out a name. While we came up with lots of ideas (good and bad), Travis finally pointed out that our last name was pretty cool. So we went with Awe and set out to get some clarity and inspiration from the finest label designer in the land, our friend, Tim Gatto. Tim works with his beautiful wife Raquel (who keeps him super organized and on track) and their feline friend, Tiny Pants the Cat! There is no designer more understanding, innovative, and original as Tim. He guided us through all aspects of design: from color theory to typeface, paper stock to proportion, farm animals to ferns. The design process was so fun and engaging. We wanted it all, and amazingly, Tim delivered. We’re so thrilled with our unique label and brand mark. After we got our label dialed, we needed to build a small website to tell our story and sell our wine - so we turned to our friend Tyson Caly’s company, Figure. Tyson happens to be one of our very best friends and was the best man in our wedding! We looked to him for guidance throughout the whole creative process of our brand’s development. This guy is a think tank! His unprecedented way of thinking is a constant breath of fresh air, and his enthusiasm for the web is unbelievable. We feel very blessed and lucky to have Tyson working with us to create something authenticly ours. I cannot stress enough how important he is to us. Last but not least, we have Eddy, the final piece to the puzzle, logisitics! He helps us keep track and ship all of our wine. We needed a place to keep our wine and who better to work with than one of the most fun guys in the valley? Eddy and I met back when we worked at Cadet together (a hip wine bar in Napa). He stores, ships, hand-labels, and waxes our bottles. 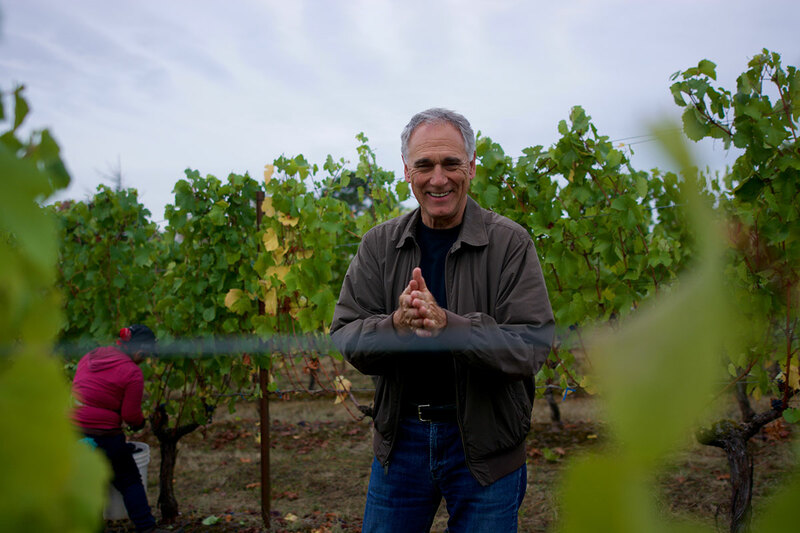 We are so grateful for Eddy helping a little wine like ours! 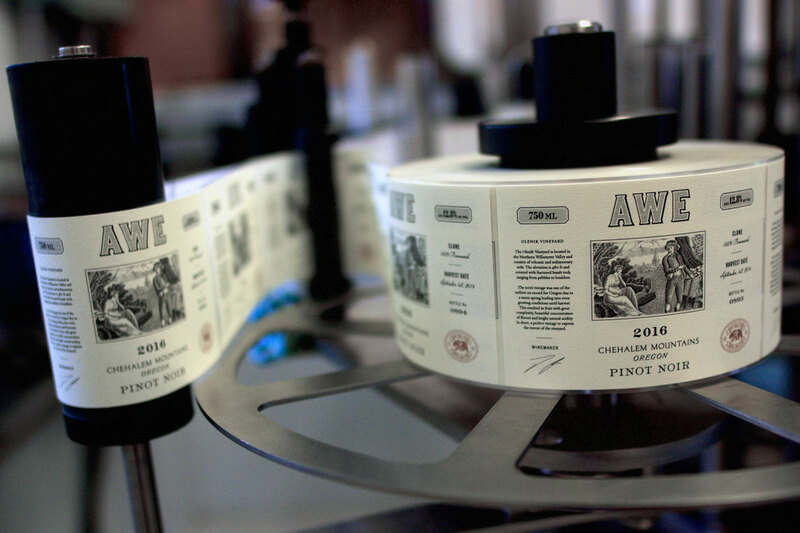 So there it is - the real unfiltered Awe Wines story. Travis’ version of this story would probably be entirely different and much shorter! The main point is - it takes a village to raise a child, and in this case, our small wine. We’ve been lucky to have so many passionate people behind this project. We think this wine is just delicious! 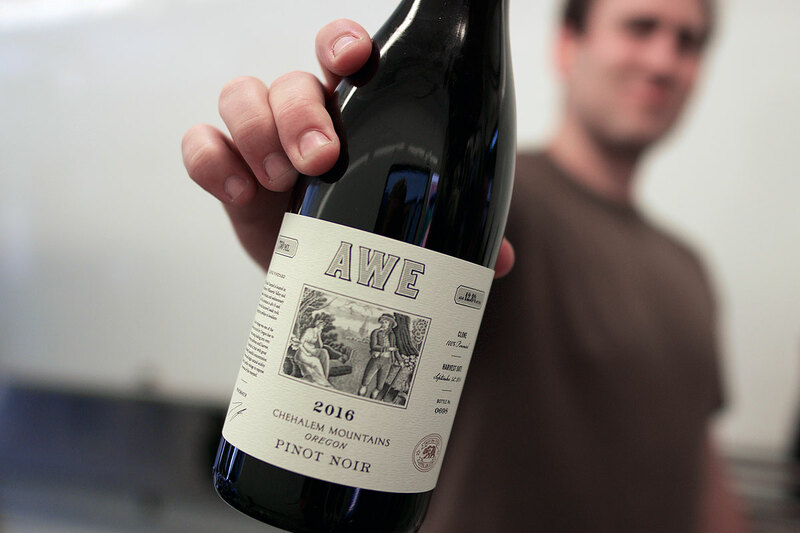 If you like acid-driven, lighter style, restrained red wines - you are going to love this pinot! If you are still reading this story, that’s some serious dedication. Thank you so much for your support!